Located in the Willamette Valley, the famous wine-growing region in Oregon, My Chauffeur has various tour destinations to offer to its guests. Known as 'The Wine Routes,' these tours will take visitors to the famous vineyards in and around the North Willamette Valley & beyond. 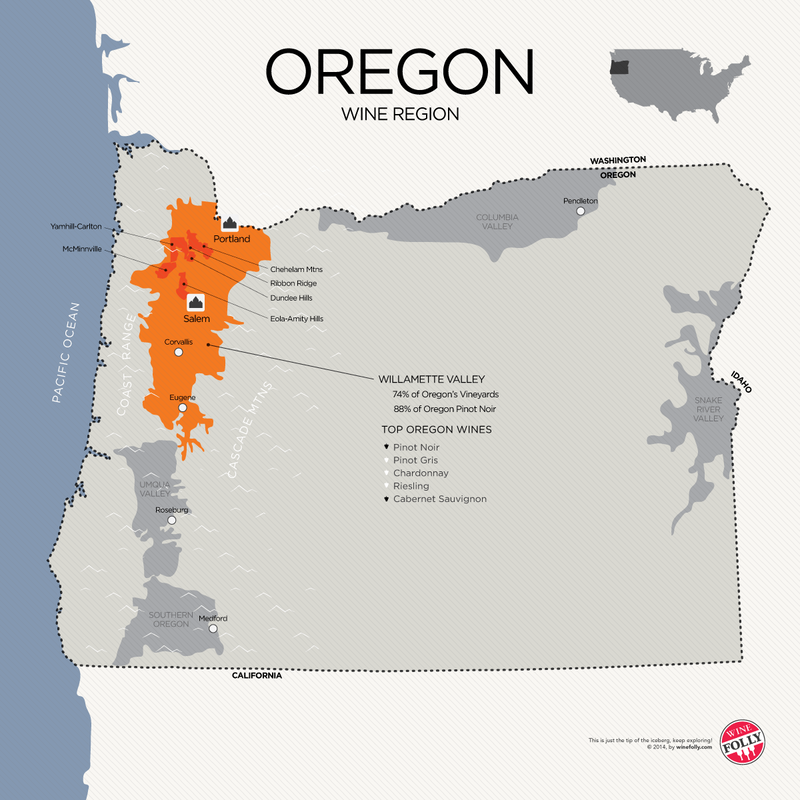 The Willamette Valley is a wide south-to-north oriented valley on the eastern side of the Coast Range and western side of the Cascades of Oregon. The mountains act as a slight buffer to the ragingly cold Oregon coast but the valley still experiences some of the wettest conditions of any wine region. So where are the good spots where the best wine grapes grow? Q: What does Oregon Pinot Noir Taste like? ​If I had to pick only two words to describe Oregon Pinot Noir it would be ‘cranberries’ and ‘earth’. The rustic quality of Oregon Pinot Noir doesn’t always appeal to California wine enthusiasts who enjoy fruit-forward wines. So be warned, you’re entering a different world. Oregon red wines are nuanced, subtle, with high acidity that don’t always explode with lusty fruit. The Willamette Valley has been carved up into several sub-AVAs that are noted for their ability to ripen Pinot Noir perfectly. There are 6 sub-AVAs within the Willamatte Valley AVA. Let’s check out what makes ‘em unique and what wines you might check out as a banner example of that sub-region. Q: What Does Oregon Do Best? Q: How do I seek out the best Oregon Pinot Noir? Take a moment to understand the Willamette Valley by reading about each region below. Then pick a sub-region that fits your personal style and give it a whirl! You can either try an affordable ($20) bottle from a good vintage (say 2012) or expect to spend above $40 for something fantastic. If you’re overwhelmed with choices, feel free to find me here for specific recommendations. The "Wine Routes": "The Alcohol and Tobacco Tax and Trade Bureau approves proposals to add new American Viticultural Areas (AVAs) in the Willamette Valley to the Federal Register for being . Van Duzer Corridor AVA - The newest addition; "Will span a roughly 60,000-acre (35.9 square miles) triangular swath of rolling hills located northwest of Salem and north of Dallas in Polk and Yamhill counties. The AVA name Van Duzer is from the wind corridor generated by Pacific Ocean air moving eastward through a natural break in Oregon's Coastal Ranges. Area growers' said in their AVA designation proposal that the marine sediment soil types and the cool nights brought on by this wind help pinot noir grapes grown in the region develop robust flavor and deep color." Full article from The Statesmen Journal here. ** Q: Why does Oregon Pinot Noir have such a wide range of tastes? Vineyard Location - Morning fog in the Willamette Valley means south facing slopes are ideal. See above for an understanding of the sub-regions in the Willamette Valley. Complexity and Body from Oak Aging - Certain winemakers focus on fancier oak programs with high quality French oak barrels and longer aging. In Oregon Pinot Noir, French oak adds cinnamon, clove and vanilla notes in the wine. Wines with less oak often get their body and tannin from grape skins and tend to be slightly more bitter. This is an important factor to pay attention to when searching for the style you like.